Share Trash-A Smart And Innovative Dispensing Concept! We have already seen many types of trashes in our blog that are suitable and compact for environment. In such a way, this is another one comes in the name of Share. 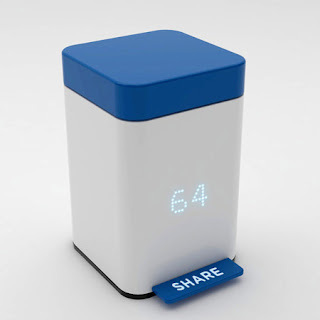 It is inspired by the “Share” button that has been in use for every website. This Share Trash also has a share banner on its foot pedal. 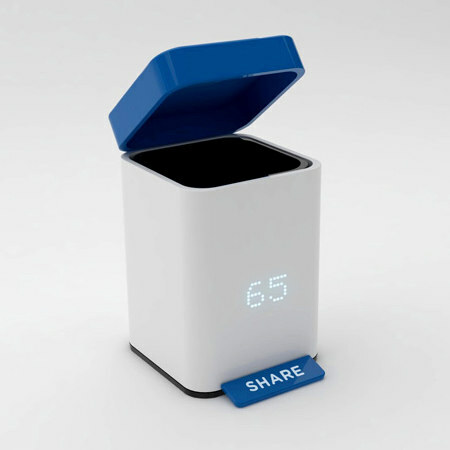 Burak Kaynak has designed the Share marked food pedal innovatively in order to make the lid open when someone steps on it and to make it easier to toss the trash inside. The trash has a live LED counter that lets you see the record of steps that have already been received. Therefore, the users can have an idea about the free space inside, the method of keeping the garbage out of site and its ability to offer a convenient dispensing without any usage of hands.